Welcome to Hard Materials technology – Wood and Plastic. In this room students will be challenged to learn techniques and skills that will enable them to solve problems. This is a dangerous environment with tools designed to cut materials, safety is very important. More important, however, is personal responsibility, A room full of sharp objects is very safe, until someone steps into it. Which means that along with learning problem solving skills, students will learn valuable lessons in how to keep themselves out of harm’s way. Consider this room and environment a stage for students to challenge themselves and discover ways of interacting with the world in a supportive context. 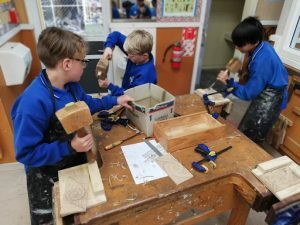 There are a range of woods that students will be exposed to including Pine, Rimu and MDF. 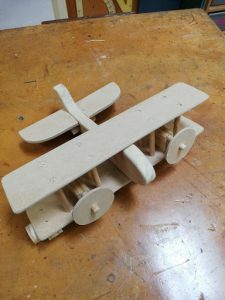 Projects will range from group work, designing and building a large piece for school use, and individual work, constructing work for one’s own purpose. Guided by the New Zealand curriculum, students will grow their skills across the core subject areas as they use a combination of skills and knowledge to solve complex problems. As their teacher in technology, I have a passion for student learning and growing our youth to achieve success. I believe in working with the students to foster a desire to become lifelong learners. It’s not always easy in the workshop but with a bit of hard work and determination, students can successfully be as creative as they like.